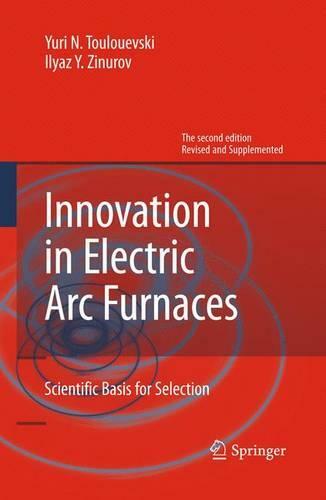 This book equips a reader with knowledge necessary for critical analysis of innovations in electric arc furnaces and helps to select the most effective ones and for their successful implementation. The book also covers general issues related to history of development, current state and prospects of steelmaking in Electric Arc Furnaces. Therefore, it can be useful for everybody who studies metallurgy, including students of colleges and universities. It should be noted, that carrying out the simplified calculations as distinct from using "off the shelf" programs greatly promotes comprehensive understanding of physical basics of processes and effects produced by various factors. This book gives numerous examples of such calculations performed by means of simplified methods and formulas. Getting familiar with material in this book will allow the reader to perform required calculations on his / her own without any difficulties.